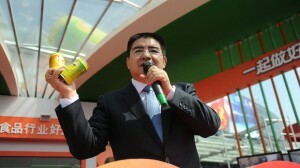 This Chinese businessman has apparently begun selling “canned fresh air” in an attempt to draw attention to China’s increasing problems with severe air pollution. In addition to Global Warming which is due, at least in part, to the release of CO2 from our combustion of fossil fuels, air pollution is another huge problem resulting from our continuing, forced addiction to fossil fuels. The state in which I live, Montana, is shipping massive amounts of coal to China for them to burn to produce electricity. In a few weeks time, the by-products of this ill-advised policy are going to blow back here to Montana. Burning wood for its energy is a big source of air pollution here. As Huey Lewis sang, “We need a new drug, one that does what it should”. It is becoming crystal clear that our continued use of fossil fuels, in just a few more decades, is going to devastate this planet and human civilization as we know it. Our climate scientists are telling us this. Previously notorious Montana winters are noticeably less frigid than they used to be. Sure, we still have some cold days, but nothing like the sustained periods of -10 to -30 degrees Fahrenheit we used to have 20 – 30 years ago. If I had young children, I would be damned worried about the future they would be facing. We need to get off of fossil fuels to produce the energy required to run our civilization, and we need to do this soon if we want clean air to breathe, food to eat, and a reasonable range of temperatures to work in. Paul Hellyer, a previous Minister of Defense of Canada, has told the world on multiple occasions: “UFOs are real”. At left is Paul Hellyer. He has told us the truth – UFOs are coming to this planet. 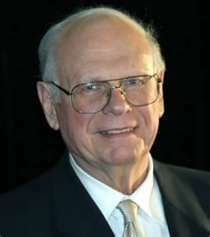 Listen to Paul Hellyer, a previous Prime Minister of Canada, speak in this video. Do you think he would publically state that UFOs are real and are coming here, laying his personal reputation on the line (for what? ), if he did not know this to be a fact? acquire some very useful (planet saving?) knowledge about how they produce the energy they require to get here. We need to stop fearing and start thinking. And, we need to demand that our governments/militaries stop shooting at them and instead invite them to engage in a diplomatic relationship with representatives from every nation on Earth. We have the United Nations, so why do we not use that as the organizational platform which will meet face to -whatever- with these visitors, and work on estabishing some type of diplomatic relationship/exchange with them? If we ask them nicely, and with the appropriate courtesy, respect, and even humility that we really should extend to an obviously more ancient, space-faring race of beings, is it not likely that they will respond in kind? In my view, to not try do this is just full-on PRIMATE BEHAVIOR. Like, stupid is as stupid does. There are people in the highest eschelons of the military-industrial complex who know a lot more about this, but they aren’t willing to tell us the truth. We citizens are paying to be lied to. We are lied to in order to maintain, for as long as possible, a status quo which is becoming increasingly threatening to human civilization and to the biosphere of Earth. Wake up people, we’re being had! Maybe our own leaders think that it’s “for our own good”. But, it isn’t, at least not for the long term viability of a people and a planet that have the potential to be great! We, the people, have got to take the reins and steer our civilization in a new direction.